Order Sidelines Delivery Online Along With New York Style, Yummiest in Town, 20 inch, Karachi, Islamabad, Multan | 14th Street Pizza Co. In the mood for an extra something? Our sides are way too good to sideline. Don’t take our word for it though, let your taste buds decide for themselves. 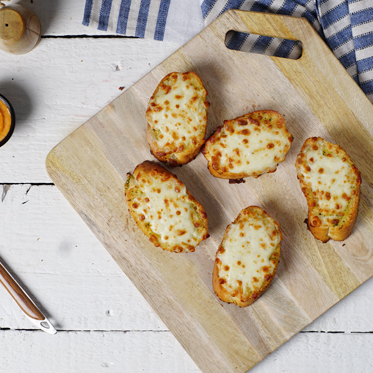 Garlic buttered batons of bread covered in mozzarella, baked and served with our traditional Southwest dipping Sauce. 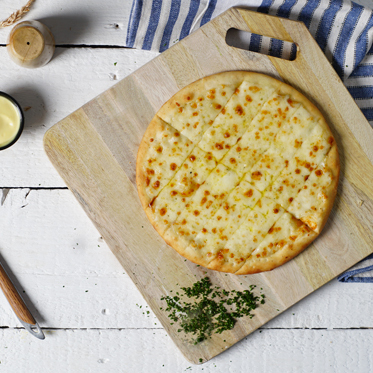 Get cheesy! 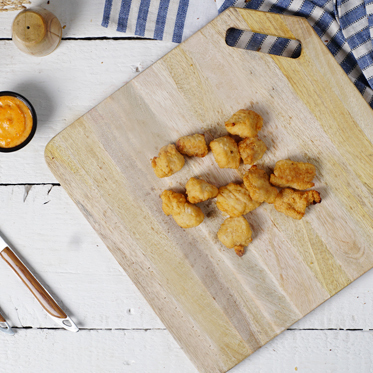 Crispy and flavorsome, bite-sized chunks of chicken in our signature spice is biting delicious! 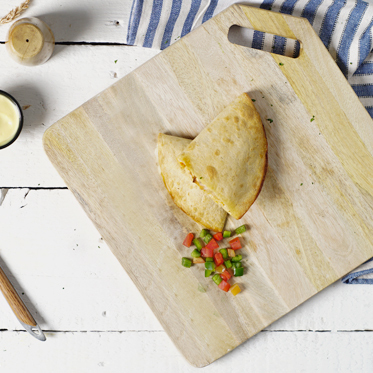 Tortilla bread filled with a blend of fluffy mozzarella, chicken fajita, garlic mayo, capsicum and tomatoes. 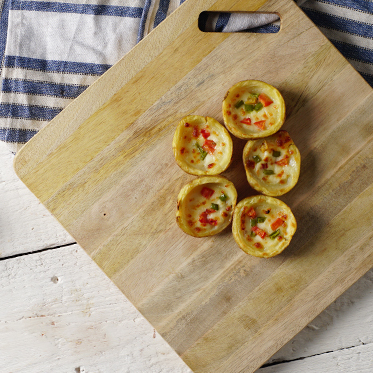 Tortilla-ly worth it. 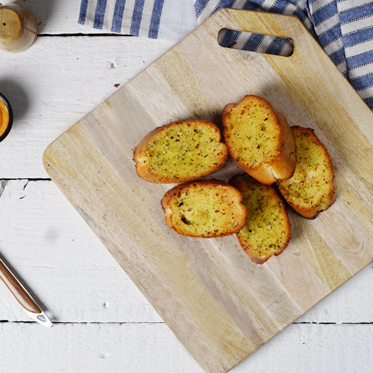 Garlic buttered batons of bread seasoned with parsley, baked and served with our traditional Southwest dipping sauce. Find love in garlic. Soft potato jackets baked and filled with mozzarella, tomatoes and capsicum, served with our Sour Cream is heaping happiness! 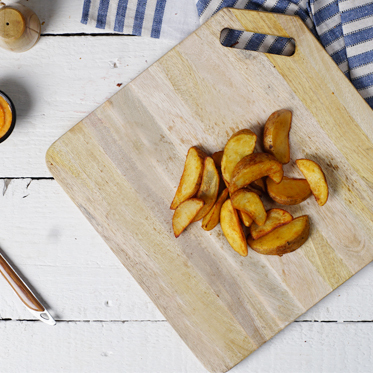 Golden oven baked crispy potato wedges served with our traditional Southwest dipping sauce. Wedge it! 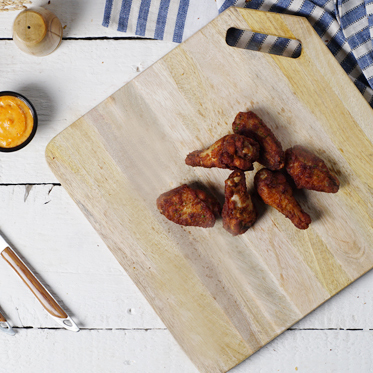 Meaty wings seasoned in our signature spices in three styles, baked until golden-brown. Get winged! 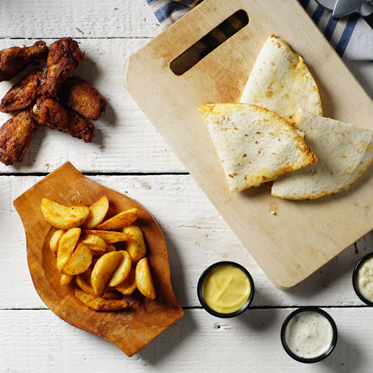 A full serving of Chicken Wings, Potato Wedges, 1.5 serving of Cheesy Pockets with 3 of our best dips Ranch, Honey Mustard, Garlic and Herb.So-spe-cial box!